Brisbane has changed. Skip bins have changed. Aussie Bins is as dependable as ever. 25 years later, we are still in the skip bin business. 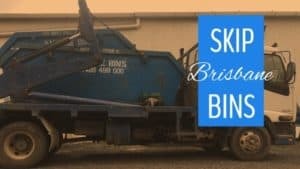 Aussie Bins Skip Hire provides skip bin hire services all around the Brisbane and Ipswich Area. We provide these services to residential as well as commercial customers within Brisbane and surrounding suburbs. Our services help our shared mission to Go Green! Think of all those instances at office and home where a lot of trash is generated. Activities such as shifting of offices or homes, renovation, painting are always associated with a lot of waste material with no suitable place for them to be stored. In such situations, you always wonder how to get rid of the waste as soon as possible and that’s when our services come in to play. We will be on your doorstep as and when you need us. 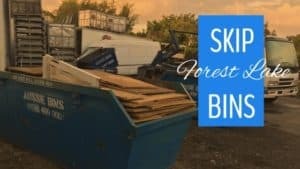 With 23 years of solid experience, Aussie Bins Skip Hire always strives to be the best waste removal and management solution company in Australia. We are here to make sure, your premises are garbage-free in the shortest amount of time, and that are compliant as well. With over two and half decades in the Skip Bin business. So great that we're Brisbane's go-to for skip bins for 23 years now. Not only the service, our prices are very competitive as well. The right price. The skip bin sizes are always expressed in cubic meters (m³). The diagram should help as a guide to estimate the size of skip bin that you require. 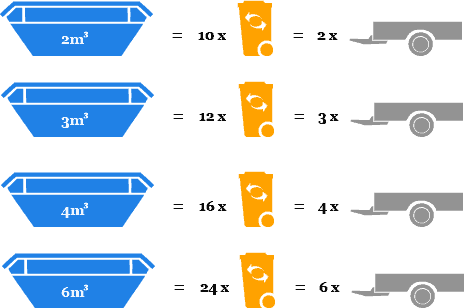 It can be difficult to visualize the difference between various bin sizes, so we have put together the information to help you to choose the right size bin for your requirements. What can I put into my skip bin? Any dry and ‘non-putrescible’ waste can be placed in the bin. Batteries, synthetic grass, tree stumps, and carpet can be put in bins, but there may be additional costs for these items. Please ask one of our friendly staff if you are in doubt regarding the type of waste. What is NOT allowed to be put in the bins? Food, chemicals, liquid paint, gas cylinders, fibro asbestos cannot go into skip bins. PENALTIES MAY APPLY FOR NON-COMPLIANCE. In no circumstances can a skip be filled above the rim level. It is illegal to transport an overfilled skip bin. If we get caught doing so, then we are subject to heavy fines, therefore we cannot remove an overfilled skip bin. Where can the skip bin be placed? You can always put a skip within your own property subject to space requirements, but if you need to put the skip in the public area, different rules apply. You can always ask us for an inspection. tried and true Aussie bins is just a click away. Look no further because Brisbane has found them here for 23 years. I called them to see if I could order a 6 metre skip bin and they responded very clearly with price and delivery. They did same day delivery as I requested. 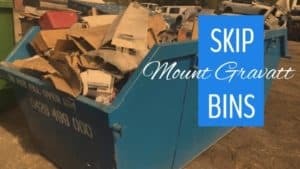 Their customer service is very approachable and I will be happy to recommend them to anyone looking for skip bins. I was sold the moment the customer service person started explaining and recommending the right skip size for the job. He was very patient and didn't mind all the questions I had. We needed to dispose of all the mess we had left after renovating our kitchen and we received the size skip on time as promised. Thank you Aussie Bins for your help and great service. Have had to hire skip bins a few times in the past few months due to work going on at my place. We had the same driver deliver and pick up a number of times now and he has been the friendliest of all. Excellent and prompt service. Book a bin with Aussie Bins. All it takes is a click. Enter your contact number and details of what you need and we will get back to you with a quote. Got queries? Let our experts answer them.